Our development process is fine-tuned during projects for start-ups and clients like Dyson, Nike and Siemens. To create successful products we create an inter-disciplinary team that develops the mechanics, electronics and design simultaneously. The timeline below, shows how the different experts work together during the different phases of a project. Complex projects need a large team of experts from a variety of disciplines. Over time we have selected partners that have similar flexibility and drive for perfection. We have built up a core team that can develop all aspects (design, ME and EE) simultaneously. They remain with the project from start to finish. In this way there is fluid communication, no loss of information and late changes are easier to handle. All developments tend to follow a similar evolution process. Pinpointing the trends in this process helps to predict what the next generation of products might be. Our ambition is to create beautiful designs which help improve and enhance quality of life. 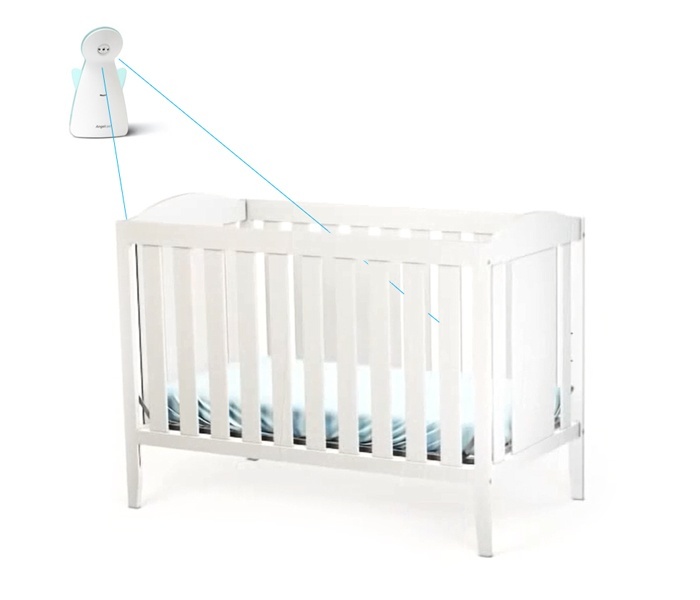 We gave this baby monitor a unique character, expressed in the form of a ‘caring angel’. By inclining the angel’s head forward, we created the impression that it is looking down into the crib. A logical placement for the camera which positively reinforces the monitor’s nursing character. The night light is integrated into the shape, resulting in a gentle, glow-in-the-dark silhouette. We strive for simplicity in our design and engineering. With our lean process, the development of mechanics, electronics and design are carried out simultaneously. 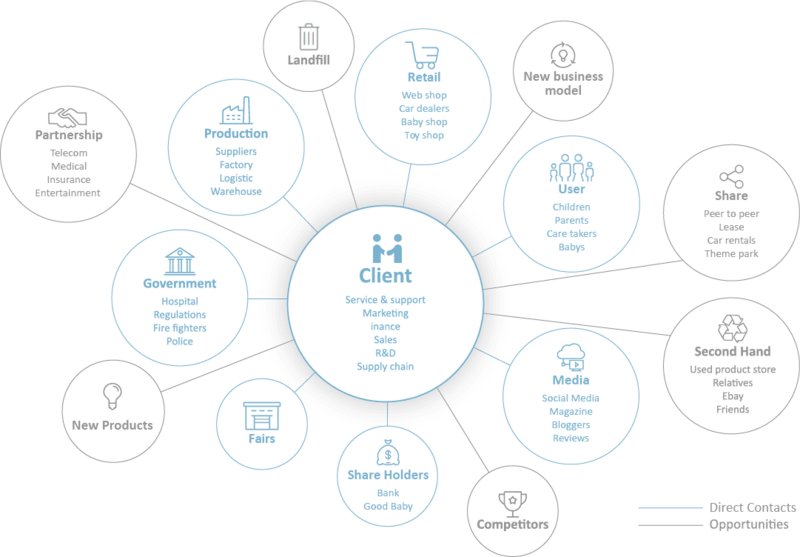 We analyse and prioritise the requirements, create different solutions and allocate the functions to the parts. We keep puzzling until we find the optimum between form, function, cost price, production and assembly. Functions can be resolved in different ways. We analyse the mechanical principles of related products and use them to generate new ideas and solutions. Cost reduction often increases the risks and the development budget of a project. When less parts are used, different and often contradicting functions need to be fulfilled at the same time. The engineering concept drawings below show the existing beer keg valve and a number of set-ups to reduce costs. In this way we create an overview of the different options and their implications. When our clients have trouble managing a project internally (due to lack of manpower or expertise), we have proven to be a good alternative. We are able to develop an idea into working prototypes within 3 to 5 Month. These results can be used for a product launch or user tests. When this is a success, the time to production is short because the mechanical and electrical engineering is ready. Selecting the right components is key for the success of a product. It is always a trade-off between functions + long battery life vs cost-price and product weight / volume. To tackle this subject we go through the specification loop with our client in the beginning of a project. The decisions made during this process clarifies the project scope and complexity. When the components are selected, existing development kids and modules are connected to test the configuration and the existing software libraries. For the proof of concept prototype, a new PCB with the final component configuration is created. Together with prototyped mechanical parts we create a prototype that looks and works like the final product.